The FDA has recalled nearly 400,000 pacemakers manufactured by St. Jude Medical, Inc. because the devices' batteries have been found to short circuit or fail at an alarmingly high rate. ICDs are designed to provide ample warning, usually three months in advance, of potential battery failure. The recalled defibrillator devices produced by St. Jude feature a defective battery design that can short circuit and cause total battery failure in as little as 24 hours. This does not give patients enough time to seek treatment for the failing battery, and once it dies, the pacemaker is unable to deliver life-saving pacing or shocks, which can lead to patient death. What Causes a Pacemaker Battery to Fail? The sudden and rapid depletion of the batteries in St. Jude ICDs occurs because of lithium clusters that form inside the battery. If these clusters form in a way that connects the two internal terminals of the battery, the battery will short circuit and quickly lose its power. Interestingly, the batteries in the recalled units are not the same as the original batteries that powered the devices when they were approved by the FDA. The recalled batteries were updated later to include what St. Jude called novel technology that would increase battery life. The updated batteries were Q High Rate (QHR) batteries, and it is this QHR technology that is suspected to cause the lithium cluster formation. What are Signs of a Short-Circuited Defibrillator Battery? If you rely on a St. Jude defibrillator and you experience any of the above symptoms, you should seek immediate medical attention. Which Pacemaker Devices Have Been Recalled? Nearly 400,000 St. Jude pacemakers have been recalled by the FDA. More than 800 have been returned for analysis due to premature battery depletion. In April 2017, St. Jude received a warning letter from the FDA, stating that St. Jude had violated good manufacturing practice requirements. The FDA reprimanded St. Jude for improperly categorized battery failures and waiting so long to recall the devices. The lithium cluster battery failure in St. Jude devices was identified by physicians at Duke University in a 2014 publication, and there is evidence that St. Jude knew of the battery problems even before then. However, the company waited until October 2016 to recall the defective devices. When lithium clusters form in a manner to short circuit a battery, in some cases, the clusters can dissipate back into the electrolyte fluid and leave no trace. This means that the reason for failure is difficult to definitively determine just by a retroactive inspection of the dead battery. This also means that when St. Jude received batteries that had been removed from patients due to premature depletion, in cases where there were no traces of lithium clusters, they categorized the failure as "unconfirmed." This allowed the company to underreport the number of failures and justify not recalling the device because of a "low incidence of failures." They continued to sell the defective devices for more than three years after learning of the problem. What are the Criteria for Filing a St. Jude Pacemaker Battery Failure Lawsuit? St. Jude has a responsiblity to ensure that its products are safe and perform as intended. There is evidence that the company knew of the battery issues and still continued to sell the devices, putting the lives of patients in danger. In order to confirm that your device was included in the recall, you can enter the model number and serial number into this website. 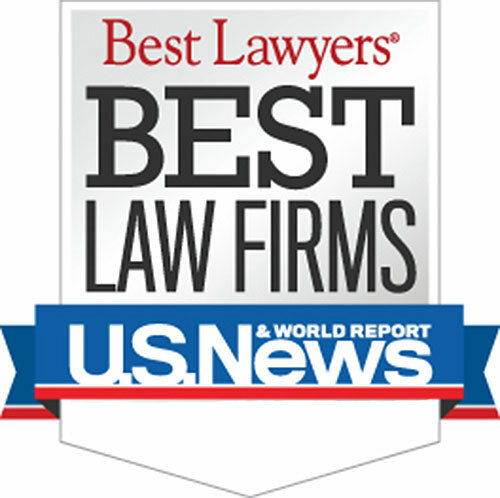 Our award-winning medical device lawyers will help you file your lawsuit. We will work hard to get you the compensation you deserve for your injuries. Who are the Best Rated Pacemaker Battery Failure Lawyers? WARNING: There are strict time deadlines for filing St. Jude defibrillator lawsuit claims. Contact our medical device attorneys and find out if you are entitled to a settlement.